Helmed by wannabe filmmaking genius Tommy Wiseau, 2003's The Room has now found itself widely considered the best bad movie of all time; it's nonsensical storytelling, atrocious script, and terrible acting have helped it develop a reputation that Wiseau perhaps may have wanted, albeit not quite for such reasons. It's this infamous nature that lead to co-star Gregg Sestero penning the widely acclaimed memoir The Disaster Artist in 2013, recounting his experience on the project, which now finds itself on the big screen at the hands of director/star James Franco. 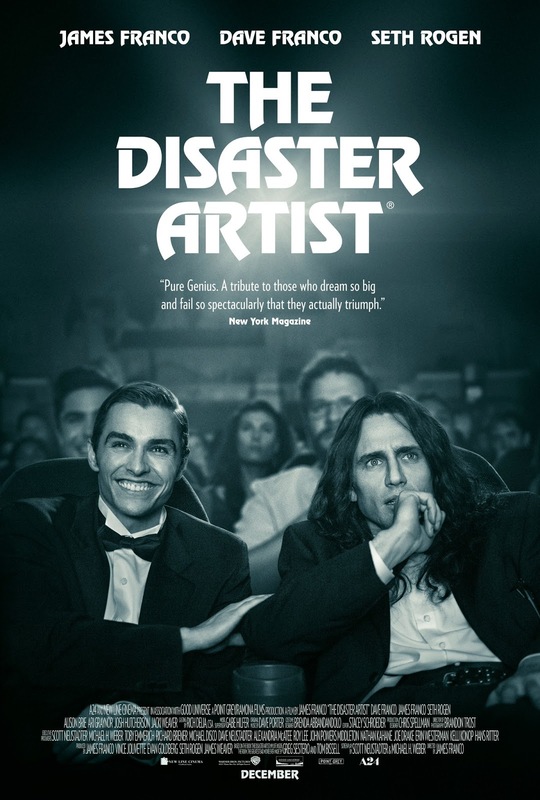 The Disaster Artist revisits the making of Wiseau's (James Franco) personal masterpiece whilst also exploring the relationship between him and Sestero (Dave Franco) during it's development and production. From the moment they met to the premiere of the end product itself, the film takes us into one of the strangest filmmaking journeys of all time - a combination of genuine emotional integrity and of course a tonnage of comedy awaits during it; fans of The Room will find themselves particularly impressed at the care and attention used to recreate some of it's most iconic moments. Perhaps the most notable pro at first glance is the performance of both the leading brothers. James Franco as Wiseau is undeniably going to annoy some, but it's simply because of how accurate he ends up being - Wiseau is a mysterious and very odd man, and Franco captures this perfectly with a performance that offers plenty of laughs. Wiseau's inept social and painfully bad directing skills are well recreated, as are his insane interactions with many of the supporting characters; it makes for some hilariously tense moments without a doubt. Dave Franco's performance as Gregg of course mustn't go unnoticed; there's depth to his character for sure, and the bond between him and Wiseau as their friendship takes a toll during the film's troubled production makes for some surprisingly heartfelt moments. We're certainly treated to much more than a comedic tribute to a superbly bad piece of cinema. Then of course Seth Rogen's role as script supervisor Sandy Schklair, while not as memorable, still beautifully sums up the immense frustration many obviously felt as Wiseau's clueless direction took it's toll - a lineup of fine supporting actors also aid in recreating many of The Room's most infamous scenes, and their interactions with Wiseau as he continues to mess up his own ambitions are an unexpected joy to watch. It's this attention to detail that is beyond impressive, particularly when it comes to the overall accuracy of the set design, camera angles, you name it - it's all handled perfectly to tribute this atrocious masterpiece. Perhaps Franco's portrayal of some scenes is a little rusty, and the humour certainly gets repetitive now and then, but overall The Disaster Artist finds itself as a film that offers audiences plenty to admire - laughs, tears, surprises, and interesting trivia brought to life from it's source material. Even if you're unfamiliar with the premise, it's certainly worth your time.